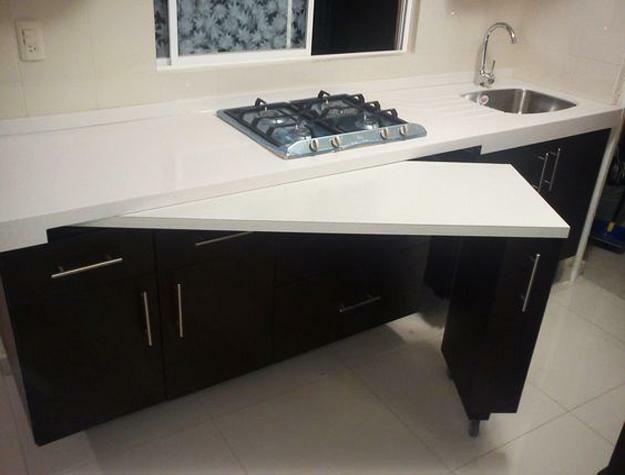 Space saving kitchen trends bring innovative cabinets and islands which transform modern kitchen designs. 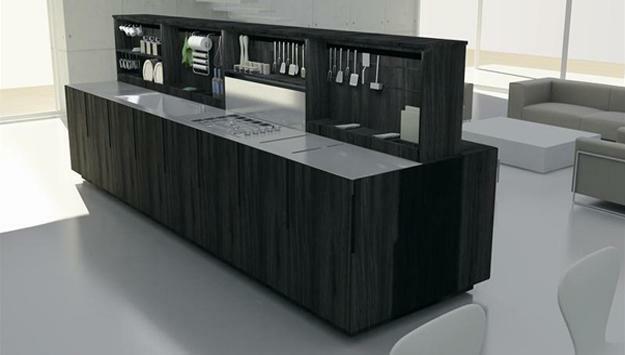 Modular elements, hiding tables, sliding surfaces allow changing the way kitchen interiors look in no time. 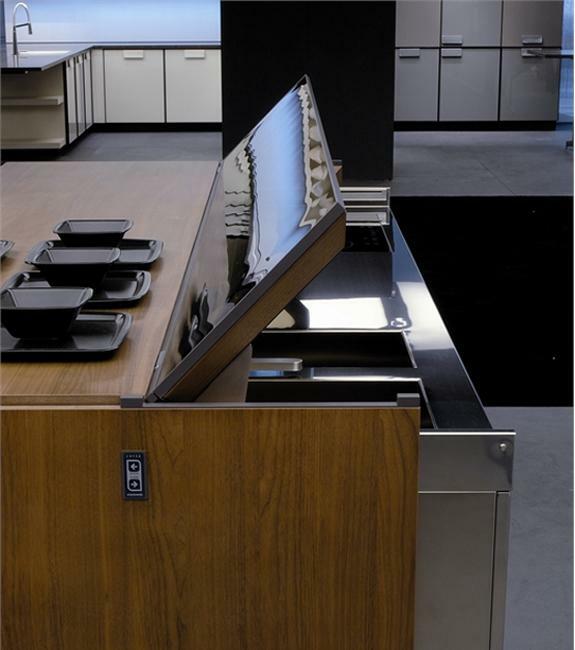 Contemporary transformers improve the functionality of kitchen designs and add a futuristic touch to modern kitchens. 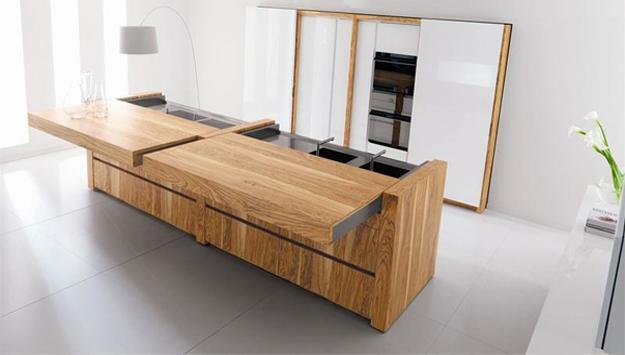 Folding kitchen furniture and sliding parts are space-saving kitchen trends that take the contemporary design to the next level. 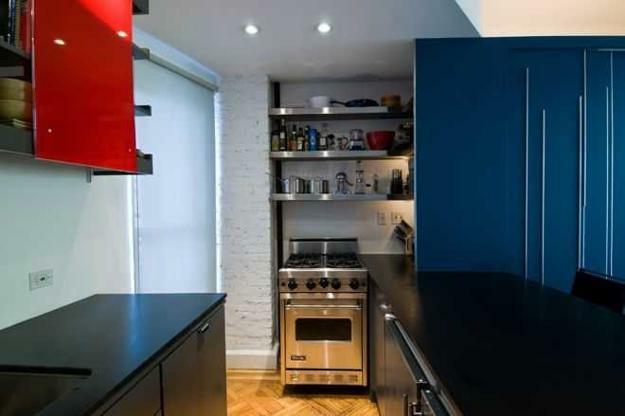 Modern kitchens-transformers influence contemporary interior design in many ways. 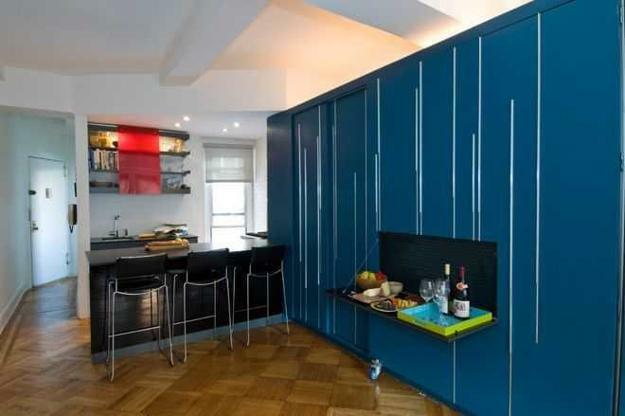 One of them is designing open spaces in living rooms with a kitchen-transformer standing alone or beside a wall. The transformation of a living room into a kitchen takes a few minutes and increase the flexibility of modern interior design. 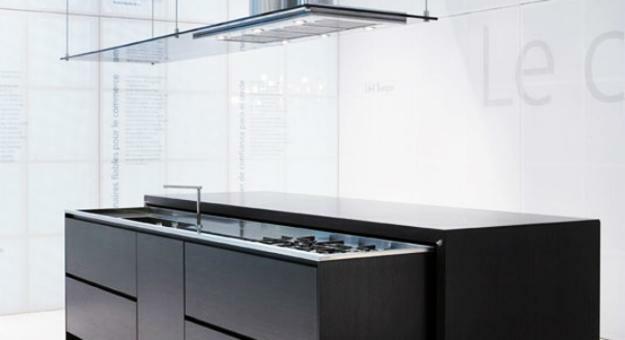 These technologically-advanced designs define the kitchen trends of the future. 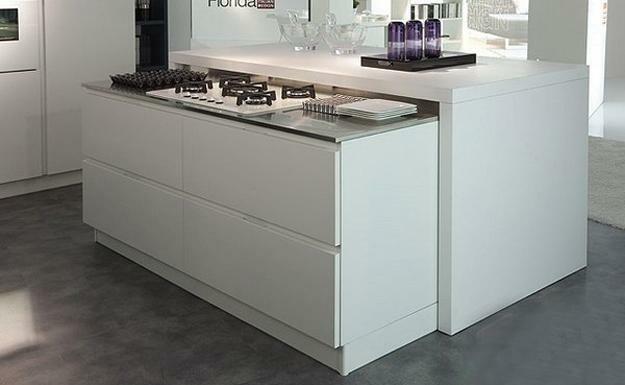 The space-saving, elegant, exclusive kitchens are expensive and technically advanced and sophisticated. 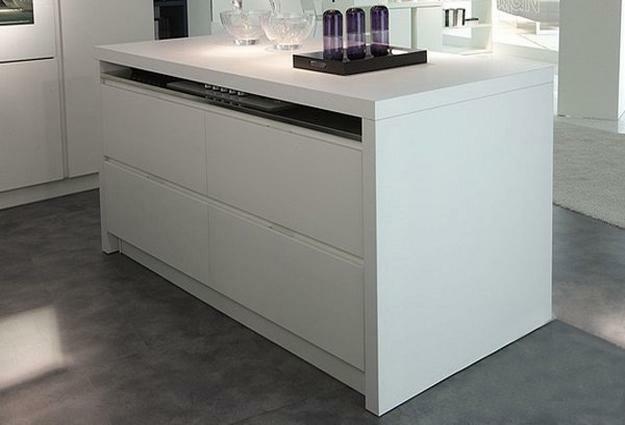 Superior kitchen furniture equipped with electrically operated mechanisms changes the design, folding sliders, hiding beneath the facades or worktop additional work surfaces, cabinets, sinks, and hoods. 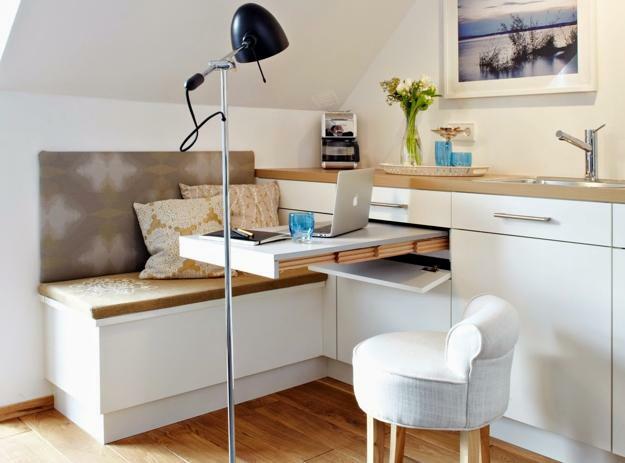 The space-saving ideas create more free room for entertaining. 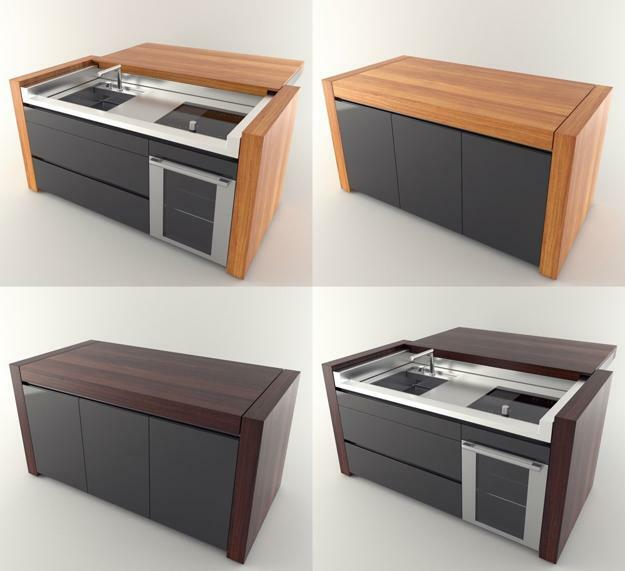 The folding kitchen designs make the process of cooking and eating more contemporary. 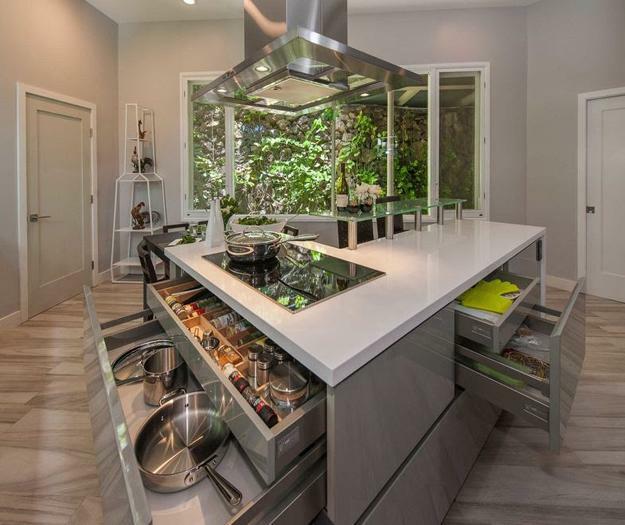 The kitchen designs are perfect for open spaces which combine living room and kitchen interiors creating non-traditional, multifunctional interior design. 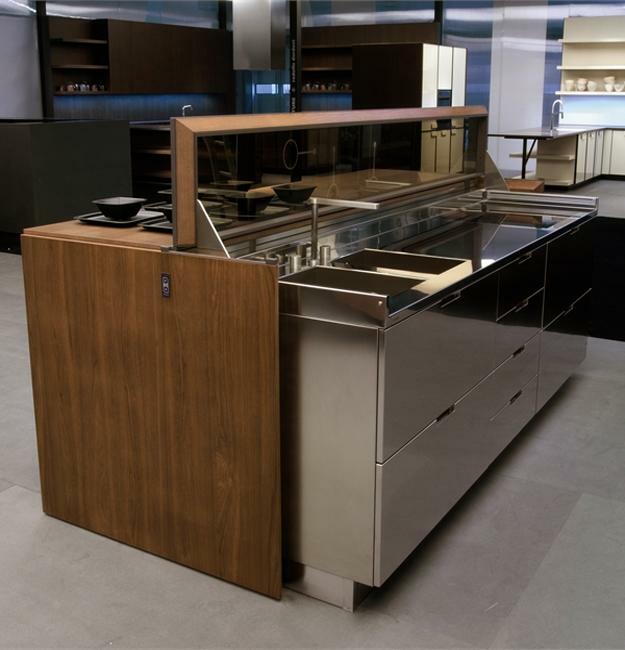 When all kitchen appliances hide, the place looks like a living room, but with a touch of a button, the furniture begins to move and create a kitchen. 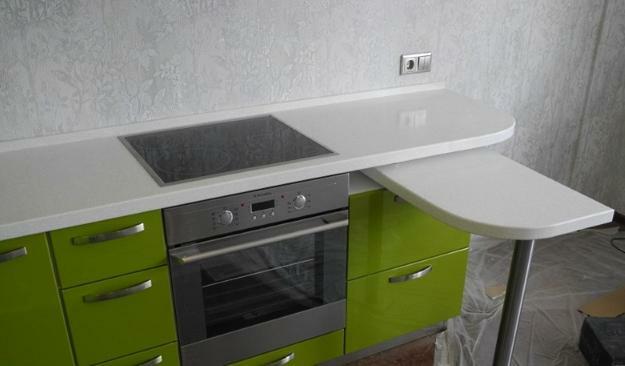 Also, there are advanced kitchen designs which are partially folding. 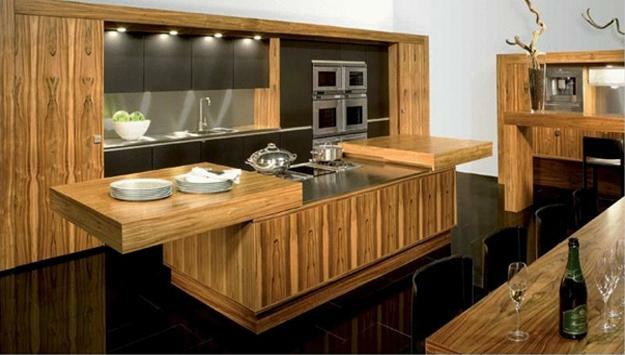 These modern kitchens offer a few layouts created with modular furniture elements in different positions. 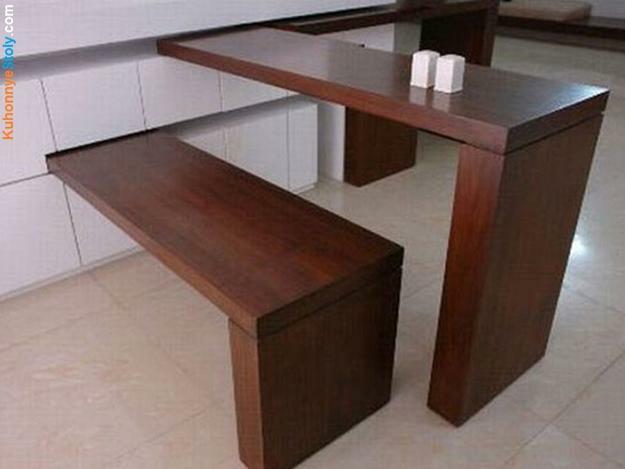 One surface can work as a dining table and a countertop.